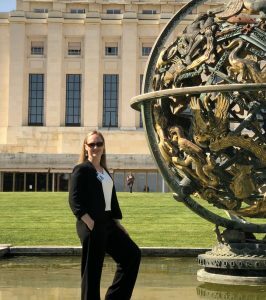 On Monday, March 25, 2019 Melissa Peneycad, ISI’s Acting Managing Director, addressed the United Nations Economic Commission for Europe (UNECE) in Geneva, Switzerland. 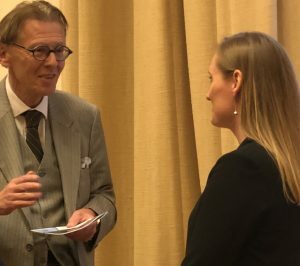 She was one of a small group of world-leading experts who were invited to discuss innovation, public-private partnerships (PPP), and project assessment tools to achieve the 2030 Agenda for Sustainable Development. While Envision has been gaining a strong foothold in the United States and Canada, many nations have not yet heard of ISI and its Envision sustainable infrastructure framework, or the organization’s success in verifying sustainable infrastructure projects. Peneycad’s presentation on ISI, Envision, and its application to evaluate PPPs and other project types against the UN Sustainable Development Goals (UN SDGs) was warmly welcomed by a collective of representatives from UN organizations including the UN Industrial Development Organization and the UN Conference on Trade and Development, delegates representing several UN member states, and many non-governmental organizations. She underscored the relevant aims of Envision and the verification process and emphasized the aspects of Envision that specifically address the UN SDGs, including equity and social justice, economic effectiveness, stakeholder engagement, reducing carbon emissions, and training and job creation. Envision’s impact also caught the attention of attendees. Since 2013, Envision has been used to evaluate the sustainable performance of more than 70 infrastructure projects, collectively worth more than $19.5 billion, with another $31 billion of infrastructure development registered for Envision review. Recognizing the collective effort behind Envision, Peneycad hailed ISI’s founding organizations and partners, and the almost 8,000 Envision Sustainability Professionals trained in the use of Envision as an infrastructure planning and design tool. She also gave specific recognition to the numerous public-sector departments, agencies, and municipalities across the United States and Canada that are formally adopting the Envision framework for their infrastructure developments.